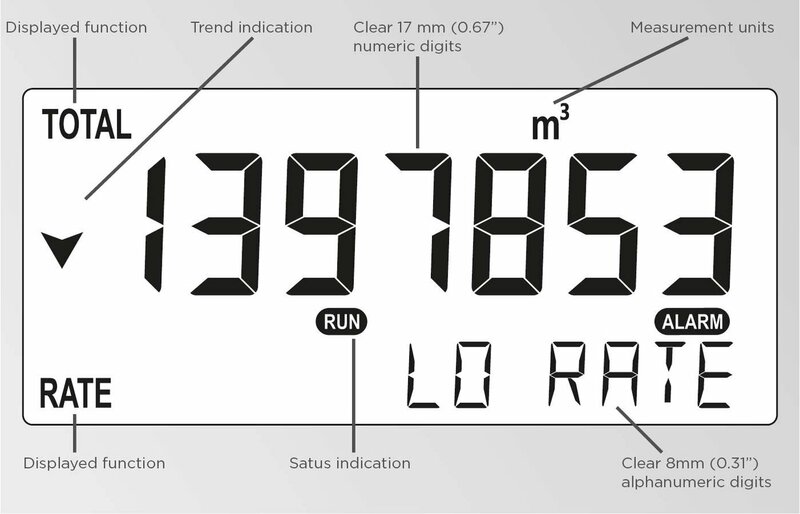 The F018 is a local indicator / transmitter with linearization, that displays the actual flow rate, resettable total and non-resettable accumulated total. 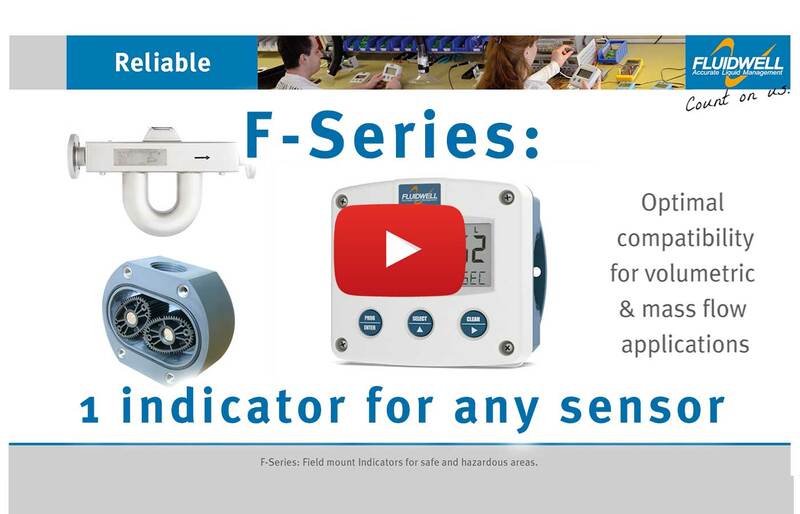 The F-Series is known worldwide as a range of user-friendly indicators. The F018 is even more impressive. The HART communication allows you to communicate in an easy way with smart "DD enabled host" systems. In addition to the average K-Factor or Span, fifteen linearization points can be entered with their frequencies or values. The unit will interpolate between these points greatly enhancing accuracy in any flow range, even for very low frequency applications. This linearization affects all displayed information as well as the signal outputs. Robust IP66, IP67 (NEMA Type4X) field enclosure. 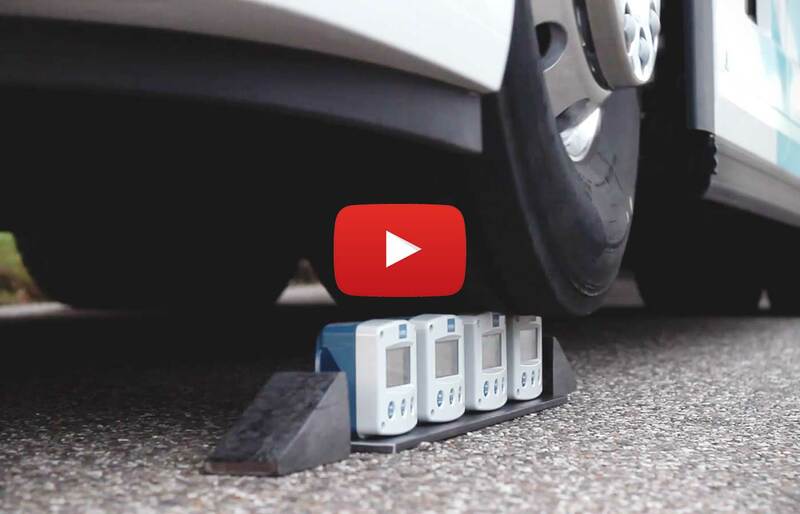 It is so rugged, you can even stand on it! Intrinsically Safe available - ATEX, IECEx, FM and CSA approval for gas and dust applications. Very diverse mounting possibilities: walls, pipes, panels or directly onto outdoor sensors. Displays total and flow rate simultaneously. Fifteen point linearization of the flow curve - with interpolation. Two alarm values can be entered: low and high flow rate alarm. 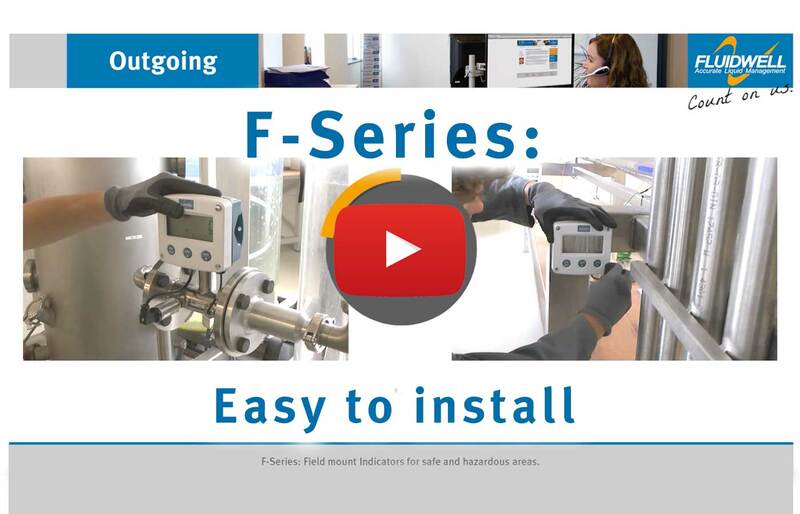 Large digit selection for flow rate or total. Flow rate: seven 17mm (0.67") or 8mm (0.31") digits. Total - resettable: seven 17mm (0.67") digits. Accumulated total - not resettable: eleven 8mm (0.31") digits. Separate engineering units for flow rate and total. Red flashing LED backlight in case of a flow rate alarm; intensity adjustable. Scaled pulse output reflecting the accumulated total. Auto backup of settings and running totals in EEPROM memory. Easy configuration with clear alphanumerical display. F018 on the HART Foundation website. 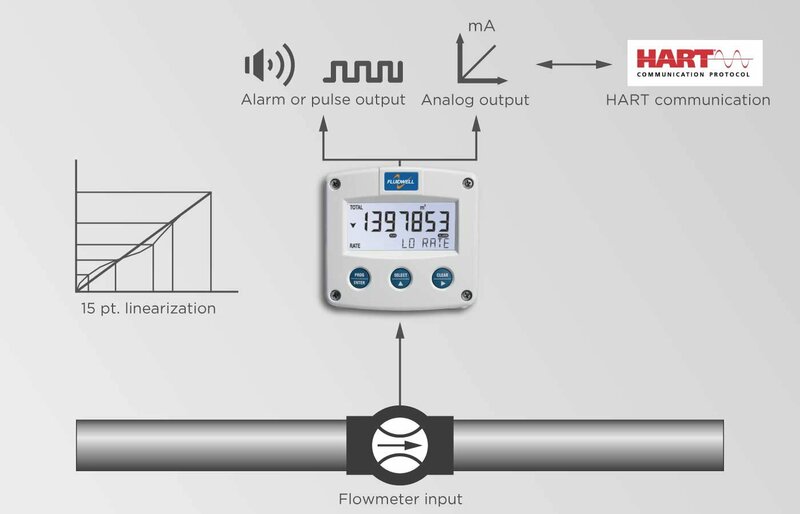 Flow rate monitoring with a precise calculation over the full measurement range, where re-transmission of the totalizer and monitoring of the flow rate function and HART communication is required. 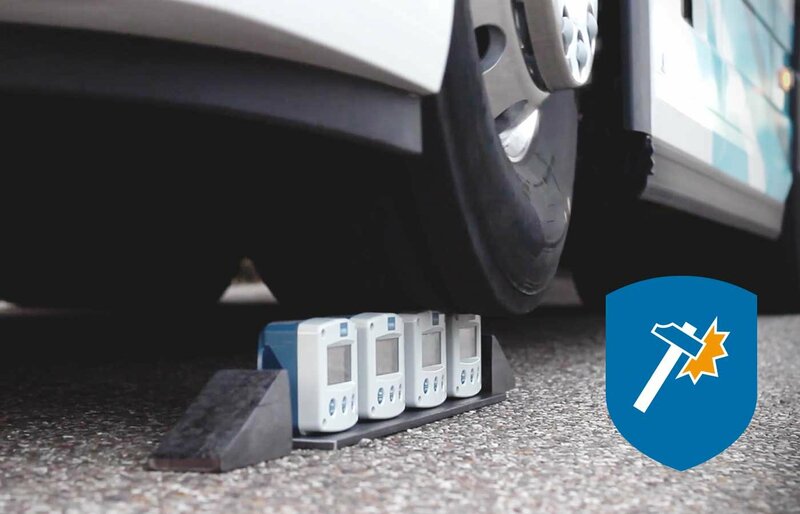 The F-Series is your first and best choice for field mount indicators in safe and hazardous area applications. Especially in harsh weather conditions like rain, snow, sandy deserts, salty atmospheres and temperatures between -40°C up to +80°C (-40°F up to 176°F). Reed-switch, NAMUR, NPN/PNP pulse, Sine wave (coil), active pulse signal. Function: Scaled pulse output according to accumulated total (e.g. one pulse every 3.25 gallons). Adjustable pulse length from 1 msec. to 10 seconds. Type: One passive NPN transistor, active PNP transistor or isolated electro-mechanical relay. 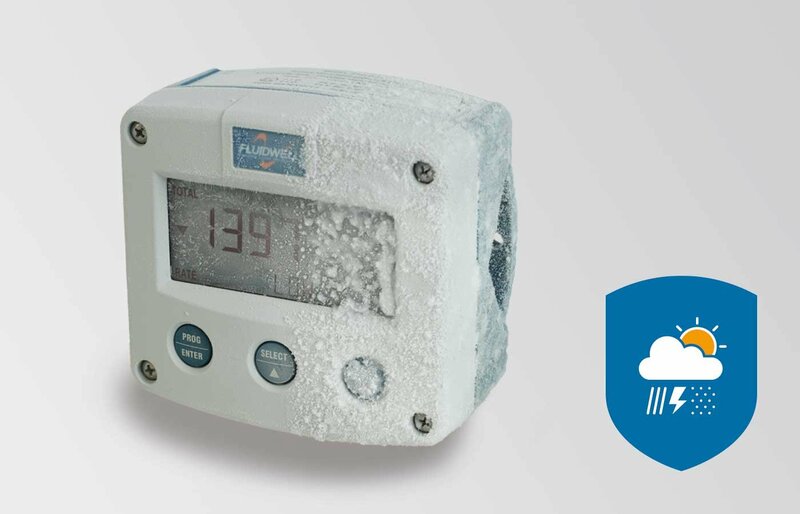 Function: Configurable alarm output for high, low or both combined flow rate alarms. Function: Re-transmitting the linearized flow rate - the output can be scaled to any range (e.g. 200 L/min to 1200 L/min). Type: One galvanically isolated, loop powered 4 – 20mA output. Basic: 8 - 30V DC. 1.2 / 3.2 or 8.2V DC. Function: All process data and settings can easily be read and modified through the HART communication link with all registered "DD enabled host" systems. Device specific DD can be downloaded at the dropdown downloads above .